Bangkok Airways Public Company Limited will launch 2 new routes from Chiang Mai; Chiang Mai – Krabi and Chiang Mai – Luang Prabang (Laos). Reservations can be made from today and will be available for travels from 31 March 2019 onwards. Chiang Mai - Krabi (One-way) service will begin with a three-flight-per-week operation (Sunday, Tuesday and Thursday) during 31 March - 29 April and will be adjusted to a daily flight from 30 April 2019 onwards. The airline will use a 144-seater Airbus A319 aircraft to service this route. The outbound flight PG246 will depart Chiang Mai International Airport at 12.00hrs and arrive Krabi International Airport at 13.55hrs. 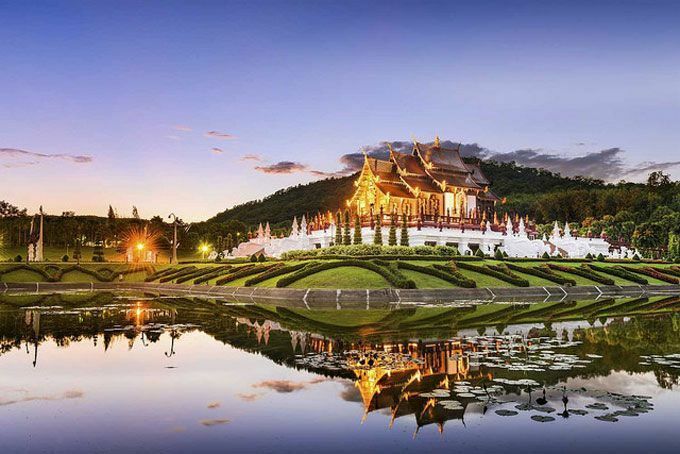 Chiang Mai - Luang Prabang (Laos) (Round-Trip) services will be operated three flights a week (Tuesday, Thursday and Saturday) with a 70-seater ATR 72-600 aircraft. The outbound flight PG983 will depart Chiang Mai International Airport at 16.30hrs and arrive Luang Prabang International Airport at 17.45hrs. The inbound flight PG984 will depart Luang Prabang International Airport 18.30hrs and arrive Chiang Mai International Airport at 19.45hrs. These services will start from 2 April 2019 onwards. For reservations or more information about these new services, please contact Bangkok Airways 24hrs Call Center at 1771 or simply go to www.bangkokair.com for more information.